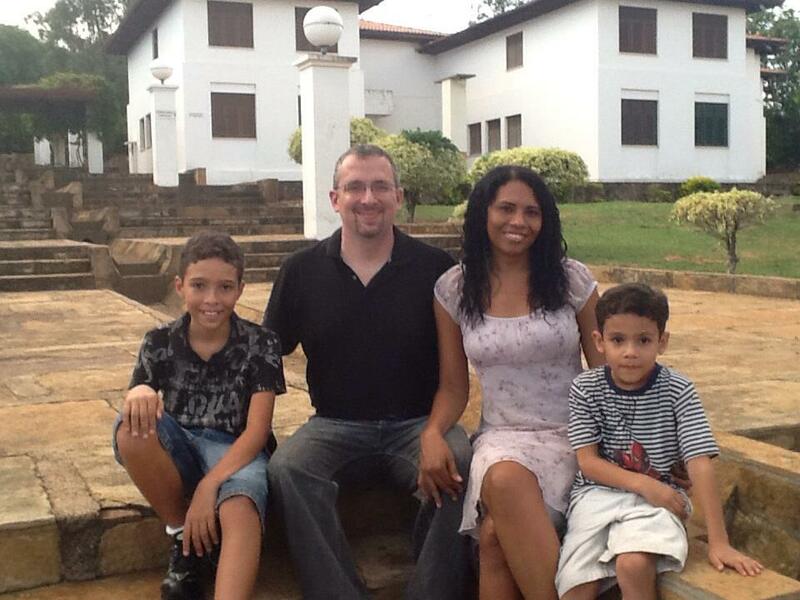 We are Andrew and Itacyara Comings, Baptist missionaries in Brazil, with Baptist Mid Missions. Together with our sons Michael (14) and Nathanael (8), we serve in the city of São Luís, capital of the northeastern state of Maranhão. Andrew was born in Upstate New York, and raised in a Christian home. Having accepted Christ at an early age, his call to missions began when he was 17 on a missions trip to Brazil. From 1994 to 1996 he studied in Brazil at the Cariri Baptist Seminary in Crato, Ceará. Returning to the US, he graduated with his Bachelor’s degree in Biblical Studies from Spurgeon Baptist Bible College (now part of Piedmont International University in 2000. Itacyara was born and raised in São Luís, Brazil. She accepted Christ at 16, and began attending the First Regular Baptist Church of São Luís. She began her theological training at the Cariri Baptist Seminary in 1996, and graduated with her Bachelor’s degree in 1999. Andrew and Itacyara met in 1996 while both attending the Cariri Baptist Seminary. They were married in 2000, and joined Fellowship Baptist Church in Lakeland, Florida. They joined Baptist Mid Missions in July of 2002, and were commissioned that same year by Fellowship Baptist Church for missions in Brazil. They arrived on the field as full time missionaries on October 28, 2005. For the duration of their first term Andrew and Itacyara worked at the Cariri Baptist Seminary. Andrew was the director of practical ministries, and both Andrew and Itacyara served in various other capacities, including teaching classes. Andrew was also responsible for a ministry team that participated in evangelism outreaches in the outlying communities. In addition to the Seminary ministry, Andrew spent one year as interim director of a Christian camp in the city of Iguatu, Ceará. In April of 2011 the Comings family began their second term of ministry, relocating to Itacyara’s hometown of São Luís. There they planted the Ebenezer Regular Baptist Church and founded the Mount Zion Regular Baptist Camp. They look forward to continuing these ministries (the Ebenezer church has yet to be fully graduated) and moving on to other church plants in their next term.